Built 1903-1908 by Axel Anderberg for the city of Norrköping. Opened 29 Feb 1908. One of the homes of the "Östögta Teatern" company. 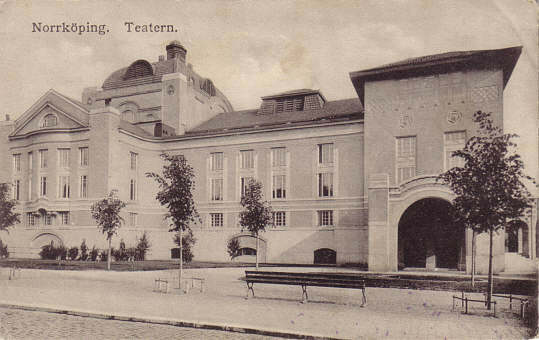 Reverse Text: "Norrköping - Teatern"